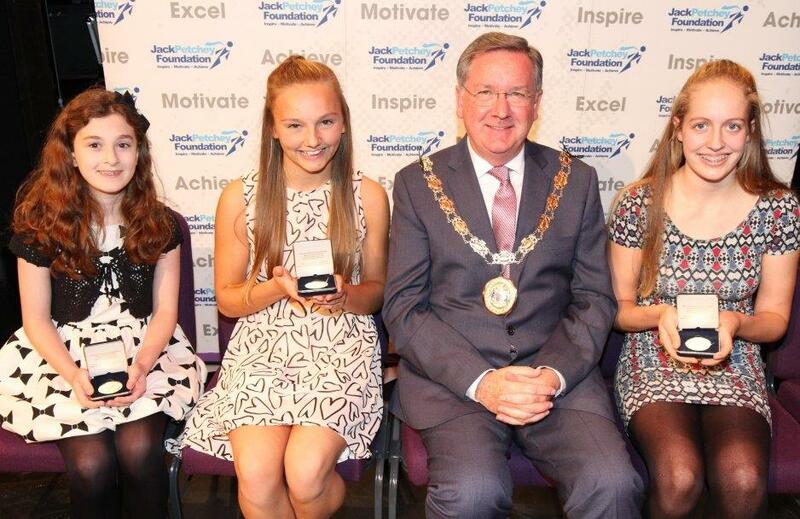 On Thursday the 1st October Abbie,Jenny and Rachel attended the Jack Petchey Presentation Awards held at the Civic Theatre, where they were each presented with a medal and had their picture taken with the Mayor. 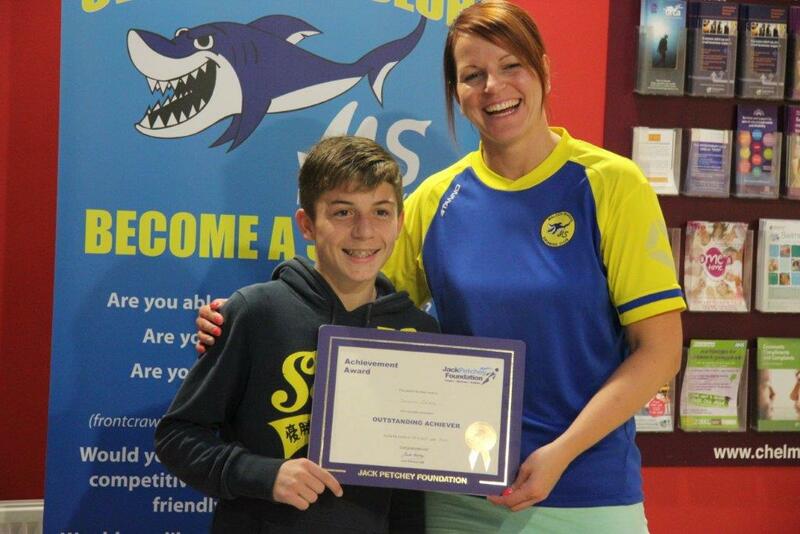 Joshua Cripps was presented with his Jack Petchey award on the 4th October at the training session held at South Woodham Ferrers Leisure Centre. Joshua has requested that his award is used for the clubs annual social event. 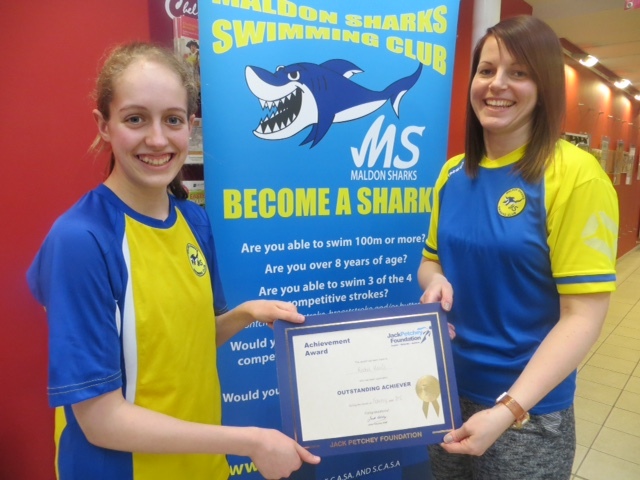 Jenny Harr is was presented with the Jack Petchey Achievement Award after the training session at South Woodham Leisure centre on the 7th May. 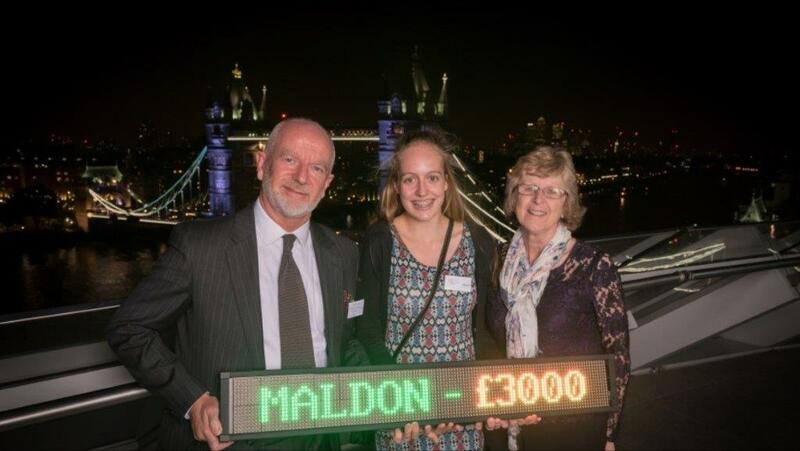 The Jack Petchey Achievement Award scheme was formed to recognise “extreme endeavour and to help young people to help themselves”. 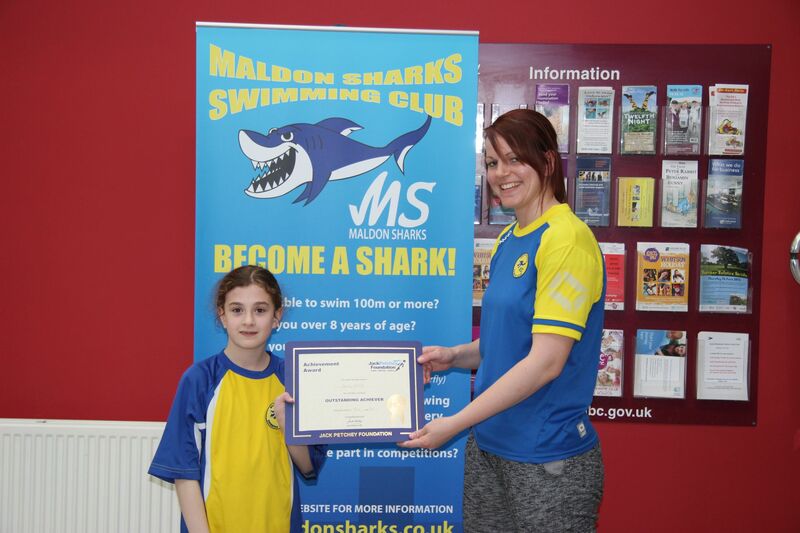 Maldon Sharks swimming club has been successful in applying to be able to make achievement awards to its club members under this scheme. 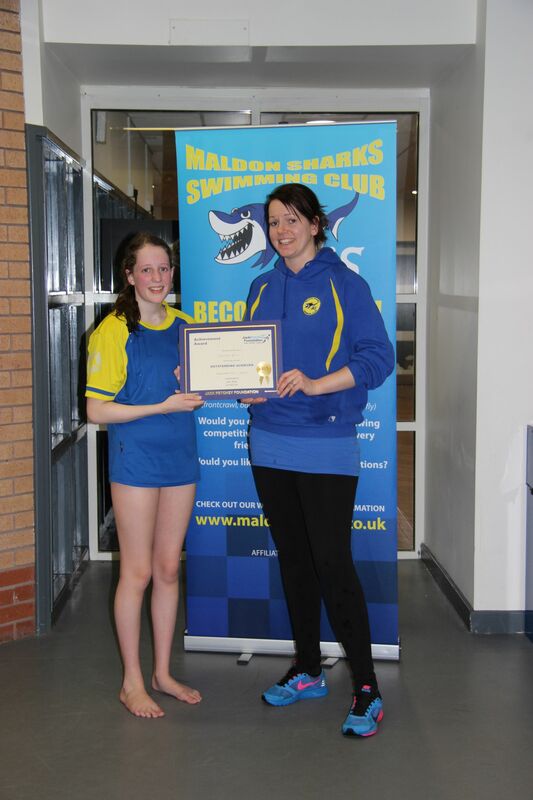 We are now able to make a number of awards to individuals within the club during the year. 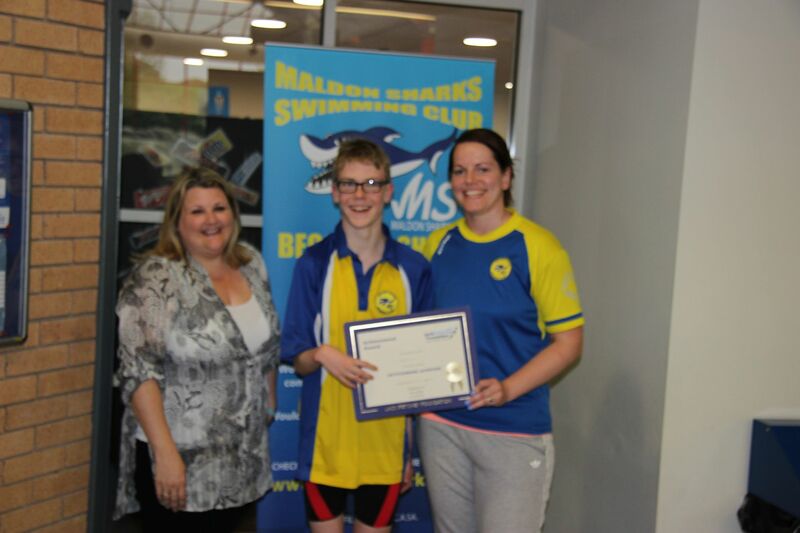 Awards are not necessarily for the fastest swimmer or most popular individuals, but are intended to recognise those young people (aged 11-25) who have demonstrated characteristics such as commitment, hard work, persistence or made a positive contribution to the club and/or other people. Each award winner will receive a framed certificate. The winner will also be given a financial award to be used to fund one or more projects from the current club ‘wish list’. We'll send out an e-mail to everyone when the club are looking for nominations. Anyone can nominate someone within the club, so please pick up a form from any of the committee or download it from here. When it's nomination time, please leave your nominations in the nominations box which will be out after training sessions.